The four novels in the Islandian universe created by Austin Tappan Wright and finished by Mark Saxton. The past two reviews, The Islar (a sequel) and The Two Kingdoms (a prequel) to the underground utopian classic, Islandia, has shown a depth and clarity of a fictional world unlike anything I’ve ever read before. 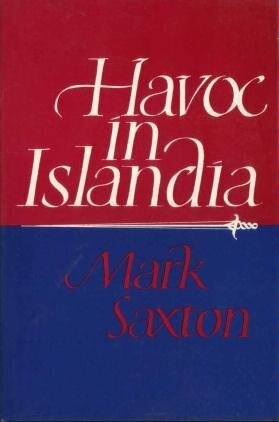 Havoc in Islandia, a second prequel to Islandia, I believe is the most interesting novel of the three Islandian books written by Mark Saxton. Catholicism either. However, he is love in with a woman who has converted to Catholicism and that adds a little of bit intrigue to the story. I know some Christians would probably automatically think this is anti-Christian novel and I could definitely see an aspect of that after reading the novel. However, I found the novel compelling and Saxton tells a good story. My issue with the novel is that the portrayal of Catholics (I know they are the villains) in the story could have been handled with a little more depth and not be so stereotypical of what bad religion is supposed to be. Moreover, there several points throughout the novel where the author shows some thoughtfulness to effect of what proselytizing had on the people. “The main tenets of the faith-I mean such things as the Virgin Birth, the Godhood of Christ, the Trinity, and the transubstantiation of bread and wine are extremely difficult. They confront the intelligence like a great well. They are also exceedingly beautiful. I came to see them as tests of my ability to deny my mind. Some people are able to accept these assertions with no reservation and say they then enter realms of a different sort of understanding. Many others, like me, work harder to get less. Because of the beauty of the concepts, and because they so much ought to be true, we others do manage to achieve a state in which we simultaneously believe and disbelieve without contradiction. That was said by Lord Mora, one of the leaders of the Islandian resistance and him dealing with his conversion to Catholicism. But, he decides to resist the church in order to keep them from controlling Islandia. I could identify with Lord Mora’s struggles of believing in the basic tenets of Christianity because I’ve had some of same thoughts since I became a Christian. That excerpt reminded me of the Doubting Thomas story in Book of John, Chapter 20:24-29 of the New Testament where Thomas didn’t believe it was Jesus who appeared amongst the disciples after the resurrection. I wished Saxton could have shown more of this type of struggle that the Islandian natives had in converting to Catholicism and that would have given the novel another dimension of depth and honesty. Outside of that, I really enjoyed reading Havoc in Islandia. Unfortunately, this book is out of print as well as the other two aforementioned novels. You will have to go to the library or buy a copy from Amazon like I did to get it. I do believe it is well worth the extra trouble to read this book and the other two Saxton Islandian novels. This novel and along with the others show the power of imaginative literature at its best and readers unaware of these books need to seek them out for their own reading pleasure. 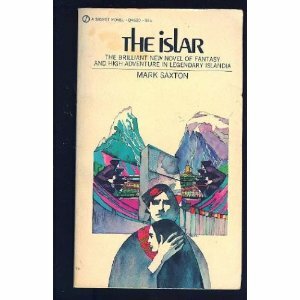 Last year, I posted a review for the book titled, The Islar, by Mark Saxton. It was a sequel to the underground utopian novel Islandia by Austin Tappan Wright. 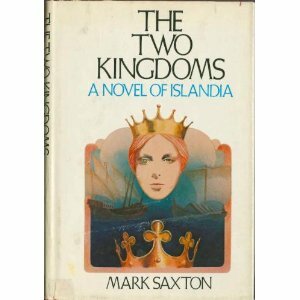 Saxton wrote two more novels in the Islandian universe and this review of The Two Kingdoms is a prequel to Islandia. The Two Kingdoms tells the story of Frare, a young officer in the Islandian Navy. He is caught in a power struggle between Queen Alwina of Islandia and King Tor of Winder. Queen Alwina is the first queen in Islandia’s history. She just took over the kingdom from her father, King Alwin, who recently passed away. King Tor of Winder is the queen’s neighbor and ally against another kingdom on the Islandian continent who wants to remove her from power. However the queen (who barely is in her twenties) is headstrong, passionate, and manipulative has created a contentious alliance with King Tor. Frare has to become an ambassador for both sides to make sure that Queen Alwina and King Tor work together to defeat the enemy who wants to take over all of Islandia. Islandia’s utopian paradise is in jeopardy again from being controlled by the outside world. However, Queen Alwina’s actions make a target for assassination and Frare must do all he can to save her life and keep the alliance with King Tor. This book was enjoyable to read and it takes me away to a world unlike anything I’ve read in contemporary fantasy fiction. I have to write that Queen Alwina believed a in New Age type of God called Om that was disconcerting. But in the context of the novel, it was believable. As I wrote in the review for The Islar, Saxton has written another terrific novel in the spirit of Islandia. Unfortunately, this book is out of print as well. And you will have to go to library to find it or a buy a copy from Amazon like I did. I’m glad I did buy it and hope someday this novel along with the other Islandian books are back in print. The Islandian universe deserves a wider audience. Have you ever read a sequel that is better than the original? Well, The Islar by Mark Saxton, I feel is such a book. It is sequel to the underground utopian classic novel, Islandia by Austin Tappan Wright. is as detailed as Tolkien’s Middle Earth. Wright died in a car accident at the age of 48 with his work unpublished. father wrote to see if it was publishable. of this review is a member of that group. write sequels in Islandian universe. So what is The Islar about? travel to Islandia and live amongst the natives and learn about the culture. American connection for the leaders of that country. requested the country to become modernized. of the coup want the country to remain that way. asked him to go America to seek their help in order to defeat the coup. involved with the country being at crossroads in its history. Should Islandia modernize in order to be accepted into the UN? Or should it remain the same and hang on to its culture as long as it can? That question is answered in the novel with a surprising outcome. This novel deserves a wider audience and should be recognized as one of the major works of fantasy and utopian literature.